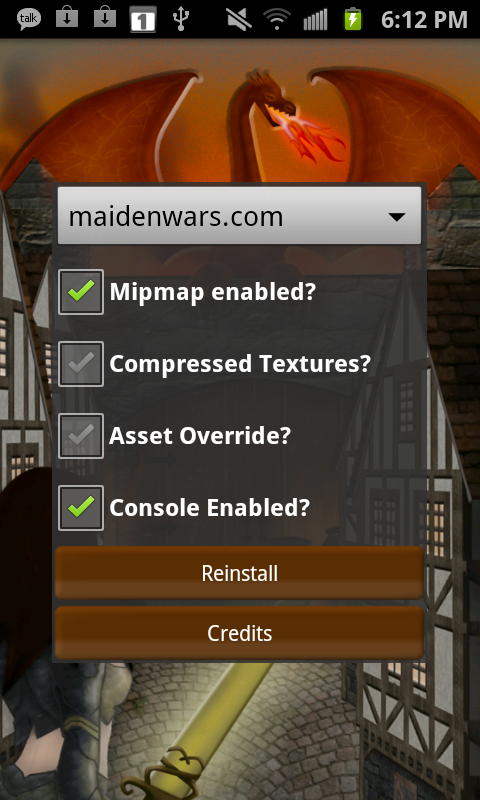 In Maiden Wars you can create and use your own 3d models. Currently they will only be visible to you, there are plans to make these changes visible to other players in the future. 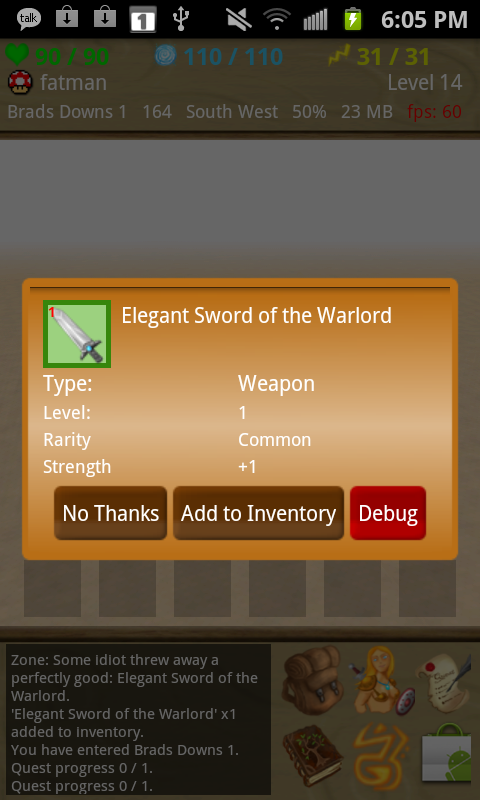 You can override any 3d model or texture file currently in the game, such as player, npc and item models (swords, loot, castles, etc.). You can download the most current release here. Follow the directions on the installation page. Blender 3d is a free, open source, and very powerful 3d model creation tool. There are many tutorials on the web for getting started. You can also follow this guide to create a primitive model and texture. You can download Blender 3d here. Note: There is a free image editing program called The Gimp which can be very helpful with texture editing, this can be downloaded here. 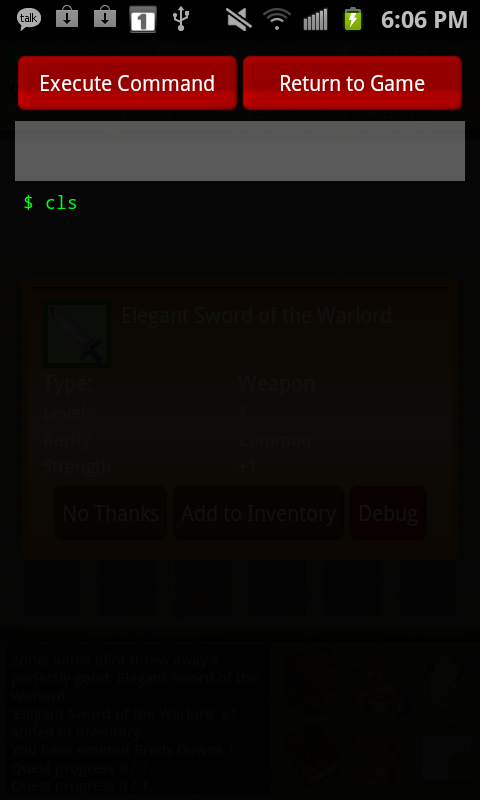 When your item is in the 3d world, which is a sword in my example, select it so the dialog appears. Then shake your phone until the command console appears. Type model and press “Execute Command”. This will display the 3d model file name. This is what you will name your final model when you are done. 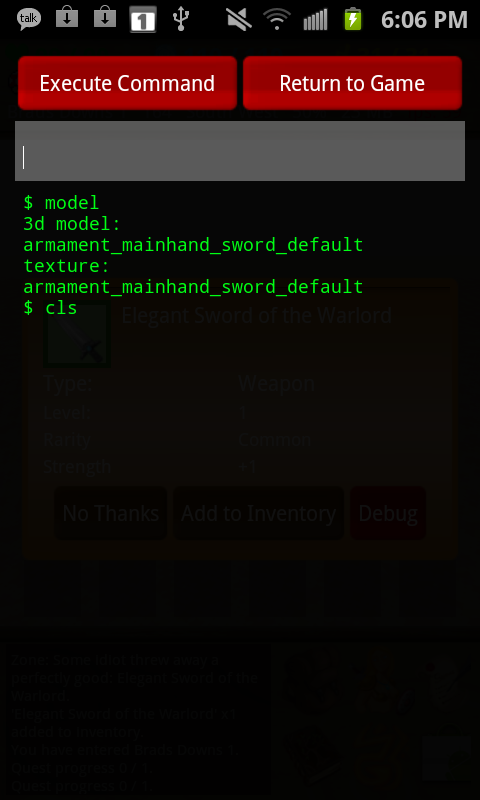 The 3d model file will be named “armament_mainhand_sword_default.md2″ when we are done. The model’s texture file can be named whatever you wish, this information will be stored in the .md2 file. 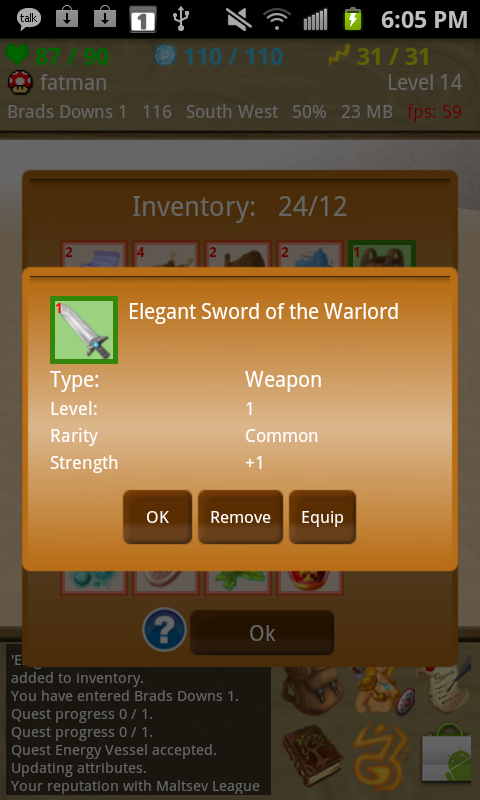 The texture file for the sword in game is named “armament_mainhand_sword_default.jpg”. The texture extension is automatically detected by the game client. Note: You must enable the console before you log into the world. To enable the console, click and hold the background of the home screen until the options menu appears. Check “Enable Console”. Click and hold the background of the home screen to return to the login options. Open blender 3d and begin molding your mesh. There are a few caveats here. Your 3d model can only consist of one Blender Object, you may have multiple meshes per Object, which suits us just fine. I am not going to get into the specifics of Blender. If you have questions regarding requirements by our game engine, please post in the forums. You will need a python script to export your model as an md2 file that the game understands. It can be downloaded from here. Here is a step by step guide. Note: This export script does not seem to work as a Blender plugin. To make it run, open a text view in blender, open text block, then open the python export script. When it is loaded in the text view, select Text -> Run Script. There will then be an option to export as MD2 from the File -> Export menu. You can verify the correct app data location by opening up the console in game (make sure the console is enabled then shake your phone). Type “asset” then press execute. The console will let you know where to place the asset files you wish to override. Note: The directory “com.maidenwars.client” may not exist in your /Android/data directory. If it does not, then create it. The last step is simply to make sure asset override is enabled. This feature is off by default because it may impact performance. Touch and hold the background of the home screen. When the options menu appears, check “Asset Override”. Touch and hold the background of the home screen again to return to the login options. Please visit the Forum for additional help.